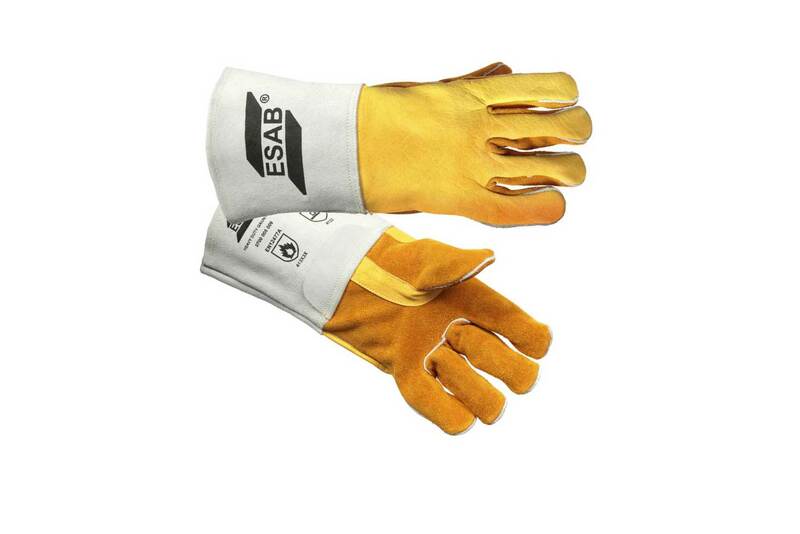 ESAB Heavy duty Excel L glove. A high quality welding gauntlet made from both cow split and grain leather. The grain leather back offers excellent heat properties while the split leather offers excellent dexterity, durability and comfort. Features fully reinforced three fold thumb, fully welted, Kevlar stitched with grain back. Fully lined inner with FR cotton to cuff and full jersey lining to palm. CE approved to EN12477 & EN388 Cat 2.